1. Heat oil in a pan splutter cumin and mustard seeds. Add curry leaves, green and red chillies. asafoetida. Saute for a minute. 2. Add onions and garlic flakes saute until soft. Add turmeric followed by mehti leaves saute for about 10 to 15 minutes. 3. Add the cooked yellow lentil along with one cup of water. Sprinkle some salt and allow to cook for another 10 minutes. 4. Turn off heat add lemon juice combine well. 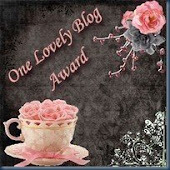 Thank you Priya from http://www.vishnucooks.blogspot.com/ for passing on this lovely award. Hi phanitha, thanks for passing to me. One small thing, correct the spelling of my name, I'm 'Sanghi' and not 'Shangi'.. Congrats dear..! The daal looks delicious! Thank you so much for passing this award to me! I love lentils - this looks wonderful! I've been having a hard time finding mustard seeds at the regular grocery so I'll plan on checking our Asian market. Congratulations on your award and thank you so much for sharing it with me! This looks so delicious! congratulations on your awards! Thank you very much for this award! 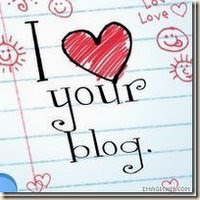 Your blog is realy delicious! Methi dal looks delicious Phanitha...Congrats on the award. Yummy dhal phnaitha...i never added lemon juice..will try next time..
and congrats for the award!! Mehti daal is very healthy and yummm comfort food. but is it nice to leave me that tough task of selecting 7 others behind???? :):):) thanks anyway sweetheart! 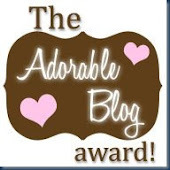 congrats on ur award and thanks for passing me:)have bookmarked this dal!! Lovely blog-I'm so glad I found it.